This seemed to go with the the last post so I thought I'd include it, currently sitting on my shelf here at home. Look so delightfull and bright! Nice inspirational photo for the weekend, thank you. 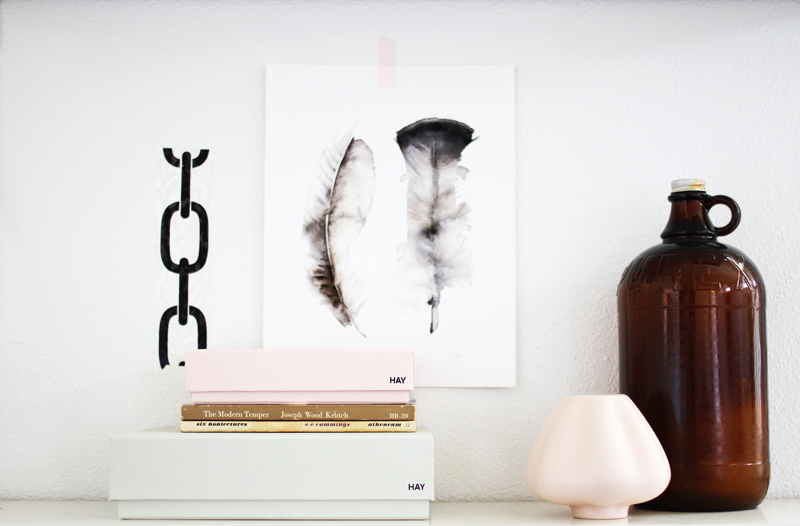 That feather artwork is awesome! i agree that feather piece is beautiful!